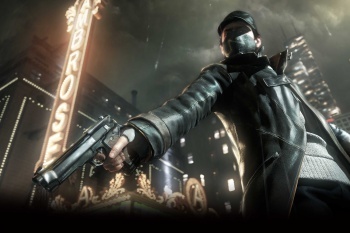 Ubisoft: "We've Learned From Watch_Dogs' Mistakes"
Ubisoft admits it reached too far and hyped too much for Watch_Dogs. Remember Watch_Dogs? The ill-fated long-delayed Ubisoft title that turned out to be more hype that substance? Ubisoft CEO, Yves Guillemot, speaking with The Guardian reflects on Watch_Dog's failures, and is adamant that the company as a whole has learned from its mistakes, and won't be quick to make them again. "It's a real challenge to create those types of games," said Guillemot. "When they come out, especially the first iterations, they are not perfect on everything. We think we launched a good quality game for a first step in a new brand with a new technology. It's just so complex - seamless multiplayer, connectivity with mobile and tablets, so many things - it was maybe a bit too much for a first iteration." One of the biggest problems gamers had with Watch_Dogs was the way it was revealed - a trailer with incredibly impressive visuals that we later learned were specifically doctored for the show, bringing back bad memories of that whole Killzone E3 2005 debacle. It's something Guillemot says Ubisoft will not repeat, and for this year's E3, ensured that (almost) all of its games were in a playable state. "With E3 2015 we said, OK, let's make sure the games are playable, that they're running on the target machines. When we show something, we ask the team, make sure it's playable, make sure gamers can immediately see exactly what it is. That's what we learned from the Watch_Dogs experience - if it can't be played on the target machine, it can be a risk." Lastly, Guillemot says that he wants to invest more time and money into smaller, off-beat titles like Valiant Hearts and Child of Light, which have proven to be very successful for the company without costing millions of dollars and requiring colossal development cycles.